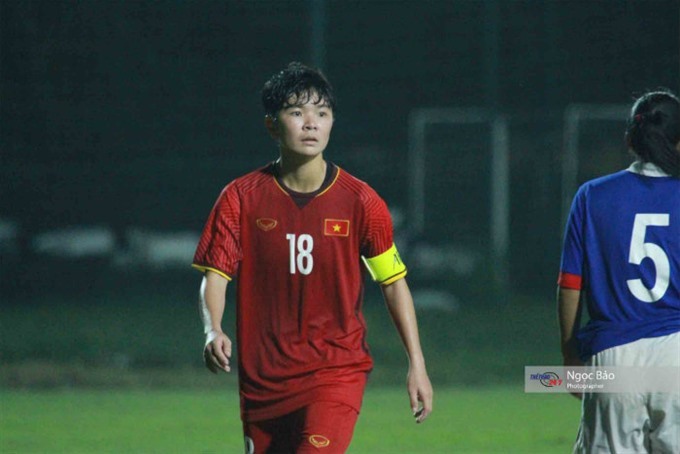 Việt Nam’s U19 women did not let their fans down after crushing Singapore 11-0 in their second match of Group E at the Asian Football Confederation (AFC) U19 Women’s Championship yesterday at Mỹ Đình Stadium. Striker Huỳnh Như and captain Tuyết Ngân took the game by the scruff of the neck, and in the 10th minute Ngân scored from a free kick, launching an avalanche of attacks on the Singapore goal. The second goal came in the 14th minute from Xuân, and just minutes later, Ngân got her second of the match. Như continued to terrorise the visitors’ defence and score a further three goals before half time. The Singaporean defenders did not have it much easier after the break, and a fumble by the Singaporean goalkeeper presented Như with another goal in the 50th minute. Ngân, Vũ Thị Hoa and Thu Xuân (twice) rounded off the scoring, with barely a threat to their own net. Nam’s U19 women are currently top of their group above Jordan, who beat Malaysia 2-1. In the next match against Jordan on Sunday, the Vietnamese girls will only need to secure a point to ensure top place and secure a place in the knock-outs.